While the economy seems to be screaming at the top of its lungs, the unintended consequences of high rents and super low unemployment have caused an uptick in homelessness, especially here in California. Add on the banning of plastic bags, decriminalization of certain narcotics and pressure to reduce overcrowding in our prisons and you have a recipe for human waste and OPIM hazards. 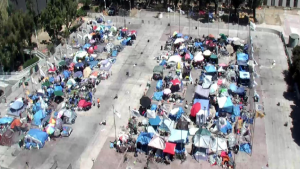 Cities and schools have been working feverishly to keep their streets and campuses free and clear of human feces, needles, and homeless encampments. Unfortunately, municipalities seem to be outpaced by both regulations and sheer numbers. This presents serious challenges in keeping public employees safe when cleaning up homeless encampments. Simply bloodborne pathogens don’t do the trick. 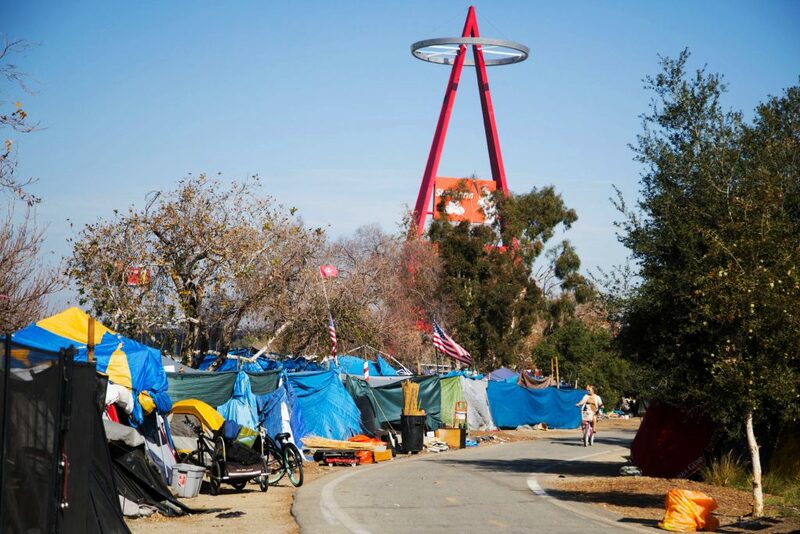 Homeless encampments present all types of recycling challenges as well as general safety concerns as they relate to bloodborne pathogens and OPIM. CalRecycle produced a great reference guide on the topic, and we released this special edition podcast episode to talk in more detail about what to do. You will need more PPE than you think. Leather work gloves coated in latex or another chemical/pathogen resistant coatings, steel-toe, puncture-resistant boots, Tyvek suits, respirators, and possibly hard hats depending on the height of the encampment. Tires, oil, fuel, electronics must be recycled. You can’t simply throw this in the trash. Know what your local regulations require and make sure you do it right. Rushing into the middle of the encampment puts you in danger of falling items, sharp items or that you might slip and fall right into something you shouldn’t. Start on the outside and slowly move in. When you are finished each shift or day, decontaminate. Make sure to wash up and don’t take home any of the muck on your clothing.